WHERE DO OUR IDEAS COME FROM AND JUST HOW DO WE GET STARTED If you are an Artist, Fashion Designer, Graphic Designer, or even if you only dabble in a few artistic mediums in the comfort of your own home, this book is for you. 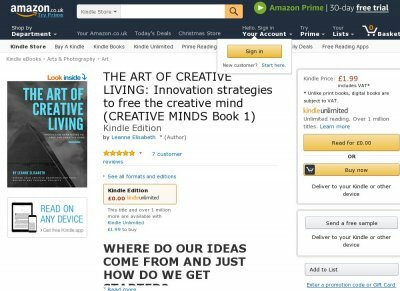 This book is designed for all creative types, guaranteed to give your creative mind a push in the right direction so you can begin to live the life you always hoped for. It will show you how to use your creativity for a more rich and satisfying lifestyle, it will help you to keep your creative senses open, and show you how to become far more aware of the creative opportunities that are already all around you so you can better express originality within your own creative ventures. This book is literally packed with practical and powerful ways to show you how you can indefinitely enhance your creative mind for your business and personal projects. 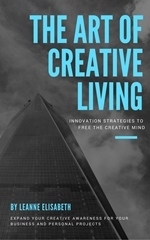 It contains many new and easy innovation strategies you can include into your way of life, so if you see yourself as a creative entrepreneur and want to take your creativity to the next level, download this book today and enrich your creative journey with this new approach to finding the creative genius in you.